Navigating around semi trucks on Colorado roadways is never fun for the drivers of passenger vehicles. Large trucks tend to drift in and out of their lanes and are known for having numerous dangerous blind spots. However, by following certain tips, there are ways motorists can safely share the roads with big rigs and other large commercial vehicles. Those who find themselves driving next to a large semi truck should take no chances. For example, many drivers want to speed up to cut off a truck that is attempting to move into their lane as this can slow them down. However, speeding up puts them at major risk for getting stuck in the truck’s blind spot, potentially causing an accident. Further, trucks cannot stop as fast as passenger vehicles, meaning a truck may not be able to stop fast enough if a passenger car darts in front of it. Drivers of passenger vehicles should also be careful when attempting to pass a truck on the highway or on other major roadways. When passing, drivers should give trucks extra space and make sure that the truck is visible in their rear view mirror before moving back into the lane. Drivers should also avoid being in truck blind spots if possible. Even if motorists make attempts to drive safely around trucks, they could still become involved in truck collisions if the drivers of the trucks lose control over their vehicle or becomes distracted. If an accident does occur, those involved are at serious risk for suffering catastrophic, life-changing injuries. A personal injury attorney may file a lawsuit against the liable truck driver and the company that hired the driver if negligence can be established. 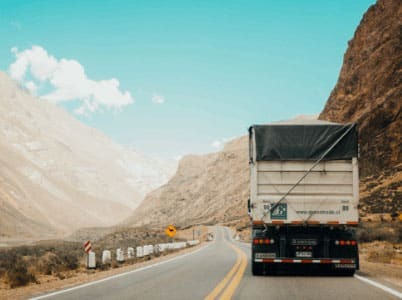 Colorado motorists might be surprised to find out that there are many factors that contribute to the rising number of accidents involving big trucks. For example, 70 percent of accidents involving big rigs are actually caused by car drivers. In many of these accidents, whether caused by the car or the truck driver, human error is involved. The U.S. Department of Labor estimates that there are 475,000 accidents involving large trucks each year. As a result of these accidents, there are about 5,000 fatalities and 140,000 injuries. The perception is that truck drivers usually cause these incidents through aggressive driving. According to the data, however, distracted driving and speeding by the other drivers are the main contributing factors in these truck accidents. In accidents caused by the truck drivers, driver fatigue seems to be a major contributing factor as most accidents occur on Thursdays and Fridays. This is when drivers who work a Monday-to-Friday week are most exhausted. Fatigue can lead to human errors that result in injuries and death. In addition, location and time of the accident is important. A surprisingly high number of incidents involving trucks happen on major roads during the hours of 6 a.m. and 3 p.m. In 2015, 53 percent of fatalities in truck accidents took place on major roads where there is a bigger chance of speeding. For residents who are involved in truck accidents and become injured, there is the possibility of filing a personal injury claim to seek compensation for losses. If a victim is considering this option, they might seek the assistance of a lawyer who can help with negotiations and gathering evidence. Inexperienced truck drivers will be seeing some changes to training in Colorado and throughout the United States thanks to a new federal rule. However, it will not go into effect until February 2020. The rule for driver training for commercial driver’s license applicants was delayed for five months. The Trump administration imposed regulatory review before approving the rule, which has widespread support from the trucking industry itself. CDL applicants who receive their licenses on or after Feb. 7, 2020 must follow the new procedure. Under the federal trucking regulation, all driver trainees and CDL applicants must receive a core training curriculum. In addition, some level of behind-the-wheel training, including course time and on-road time, is mandatory. This training must be provided by a trainer on a newly-created federal registry. In order for trainers and carrier training centers to be added to the registry, they must become federally certified to deliver the training. However, while behind-the-wheel time is mandatory under the new regulations, there is no specific number of hours that new drivers must spend receiving instruction and training behind the wheel. Instead, readiness to receive a license is measured by a standard of proficiency used by the trainers. This has been criticized by many industry stakeholders. Unqualified or poorly trained truck drivers present a real threat to safety on the road for people in other vehicles The massive size and weight of commercial trucks can result in serious injuries to those who are involved in such a collision. When it can be determined that the accident resulted from negligence on the part of the trucking company or driver, an attorney could be of assistance to injured victims in seeking compensation for their losses.